Luxurious deep pocket, fully elasticized Mattress Pads. 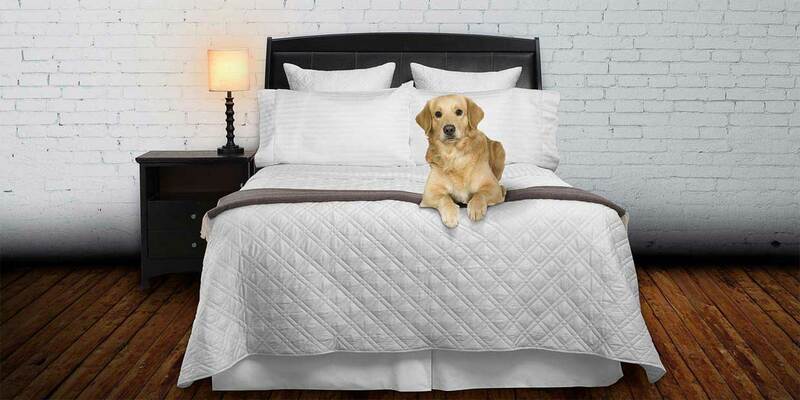 Luxury Quilted Mattress Pad. Protect your Mattress with a Mattress Pad. 300 Thread Count quilted Tencel® top layer. Deep pocket fully elasticized skirt to mitigate mattress pad from slipping or sliding. Extra Long Twin - (39” x 80”). Sold individually for use with Split King Mattresses. Full – (54” x 75”). Queen – (60” x 80”). King – (72” x 84”). Have questions? Please email us here or call 786-512-3268. Watch the below video where we explain additional details about our Mattress Pad. Our mattress pads feature a 300 thread count Tencel® lyocell top layer, polyester fill and bottom layer, & a 15" fitted elastic skirt that fits up to a 17” mattress. Cal. King: 72” x 84”. XL Twin: 39” x 80”.